Whissendine Village Green [date needed]. Photo courtesy of Pat Lake. Whissendine was first mentioned in the Doomsday Book in 1086 and was called Whichingendien – Wixenden – Wicsunden – Wissenden. The oldest settlement was on high ground around the church and manor. There were four manor houses (including one with a round tower) at one time but now only one remains. The footings for two of these were only uncovered in the last century. One now lies buried under Hall Close/Horton’s Lane. In the early 19th century, Robert 6th Earl of Harborough owned the village and all the surrounding lands. After the death of Lord Harborough, the estate, which included Whissendine, was split up (1861) and the tenants had the opportunity to buy their own farms and cottages. This also brought many new families into the village. The navvy yard on Stapleford Road was built to house the men who built the railway. Twenty small houses were installed (of which 4 remain) and the railway opened in 1848. This was after a big dispute between the Earl of Harborough (principal shareholder of the Melton Navigation Canal) and the Midland Railway. The Methodist Chapel was built in 1868. There was another Wesleyan Chapel on the Oakham Road, which fell into disrepair after finally being used as a builder’s store. A further 3 Chapels were situated on Stapleford Road, Ashwell Road and Main Street (on the site of the Village Hall). The erection of the King George V Memorial Hall was made possible by the generositiy of Mr Frank Chaplin in 1937. 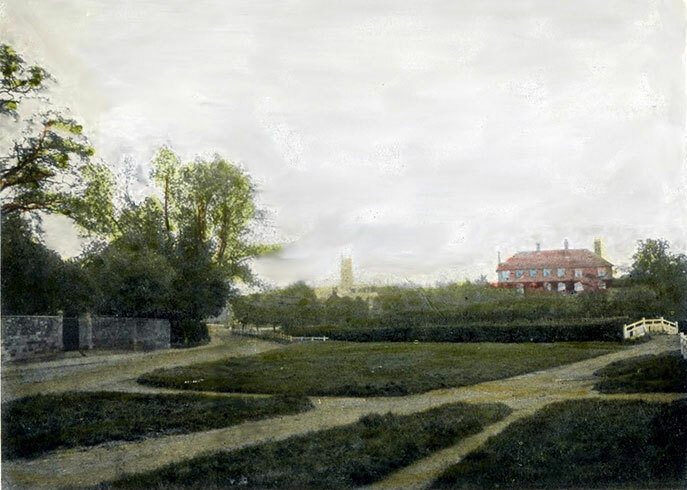 The Rev EL Horne gave the school on the the green, with its associated land, to the village in 1868. This school was closed down in 1970 when the new school was opened further up Main Street on the butcher’s field opposite the Old Butcher’s Shop. The church is one of the largest in Rutland. Its impressive, 100-foot tower can be glimpsed across the rolling countryside from several miles distance. The church is built of local Barnack stone, with a spacious interior. The earliest parts of the church date from the 13th century. Extensive building work in the 14th century doubled the height of the roof and added the tower. A Victorian restoration and refurbishment was overseen by Sir Gilbert Scott. Notable features include numerous carved ‘gargoyle’ heads, and a medieval wooden screen which was imported from the old chapel at St John’s College, Cambridge.